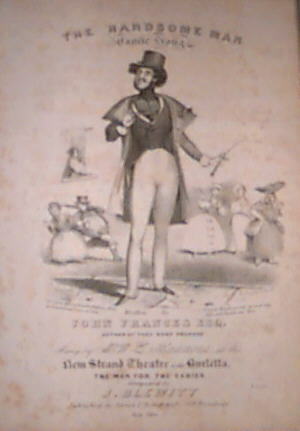 N. Currier Sheet Music - An Early Work. Here is an early printing job by Nathaniel Currier. In addition to the cover art, the enclosed pages, including music staffs and notes, were hand lithographed by Currier. If anyone can help us date this piece more accurately, we welcome the input. Author of "They Dont Propose"
New Strand Theatre in the Burletta. We received the following information from Keith Gillen in response to our request to help date this piece of sheet music. implying publication in 1836-7 or 1842-3. The relevant reference is a book by Harry Dichter and Elliot Shapiro, "Early American Sheet Music,Its Lure and Its Lore 1768-1889," R.R.Bowker Co. (NY 1941); reprinted by Dover in 1977. (page 205). See also listing on page 47 of the same song, published ca. 1847 (1848?) by Wm. Hall and Son, with very similar verbiage on the cover (W. L. Hammond, rather than W.T.) and a description of a very similar Currier litho. You can listen to the "Handsome Man" MIDI file by Robbie Rhodes, of the Mechanical Music Digest, done in a Mazurka Waltz style near the end of the piece. My teeth are ve-ry beau-ti-ful, and five feet eight I stand. My dark hair curls, my foot is small: I am a hand-some man. I am a ve-ry hand-some man, I am___ a hand-some man. I wish my hair was red and straight, my fig-ure short and mean. I wish they'd give me up and say "He's not a hand-some man." All clothes - they look so well on me, I'm such a hand-some man. with the note: "Sung in affected style." All text and images � 1997,1998 by the Currier & Ives Foundation. 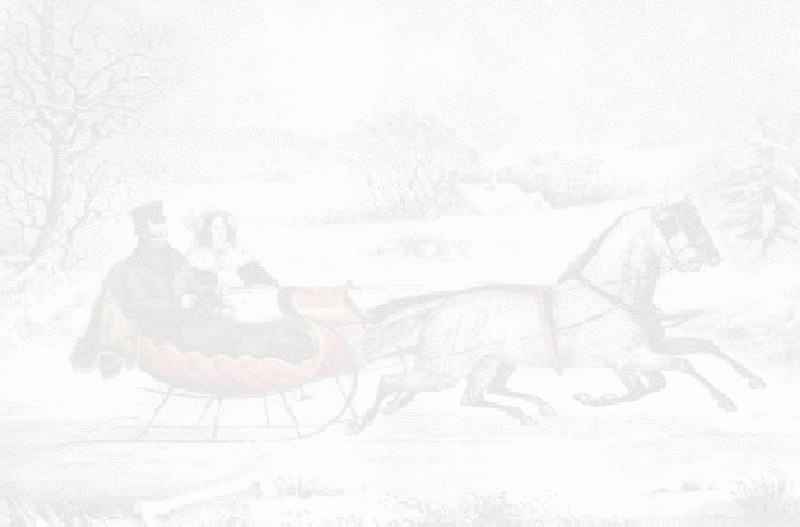 Reproduction in whole or in part, of any content contained on this site is forbidden without the prior written approval from an officer of the Currier & Ives Foundation.